Throughout The Seventh Scroll, as in all Wilbur Smith novels, the plot twists and turns with constant surprises ... This old-fashioned adventure novel keeps the reader enthralled all the way to its very exciting conclusion. 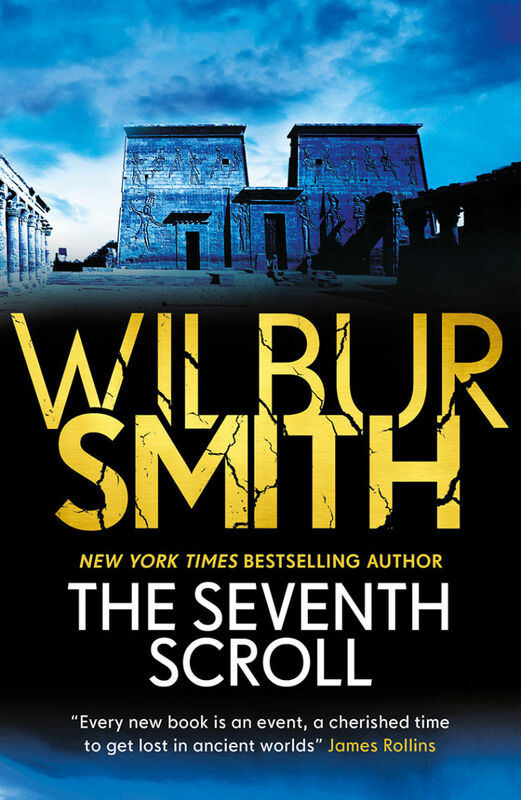 A consummate sequel, The Seventh Scroll perfectly complements River God, its phenomenally popular precursor. 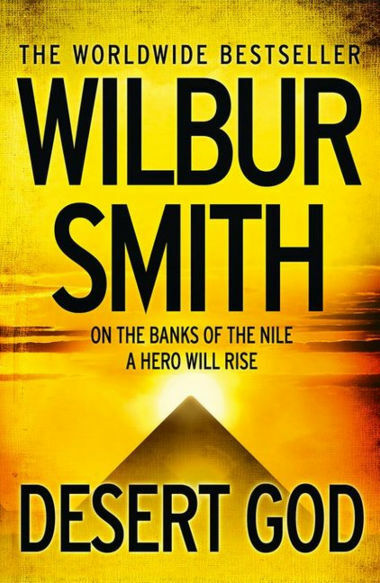 Smith excels at action sequences, getting his attractive heroes and despicable villains into and out of hugely entertaining predicaments, all the while tossing off vivid descriptions, bits of historical detail, and classic low-key British banter. This well-crafted novel is full of adventure, tension, and intrigue. 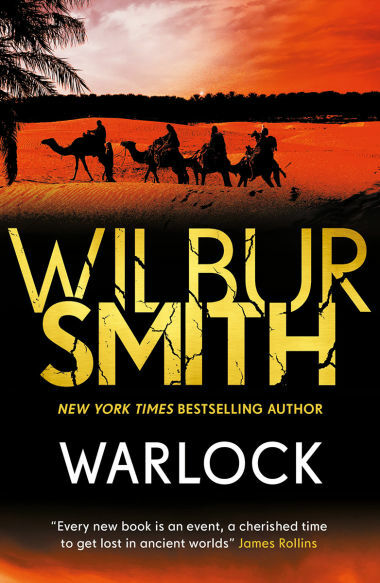 Intoxicating... A heady mix of exotic adventure, romance, and Egyptology. Smith is a master. 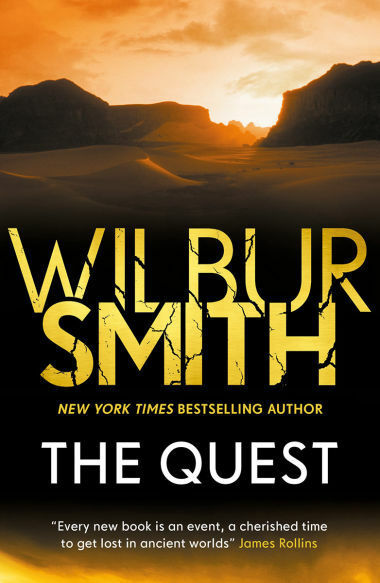 The desert sandstorm couldn't get the pages turning faster than Smith. Full-blooded, muscle-on-bone-crunching treasure hunt ... it is non-stop action and thrill. 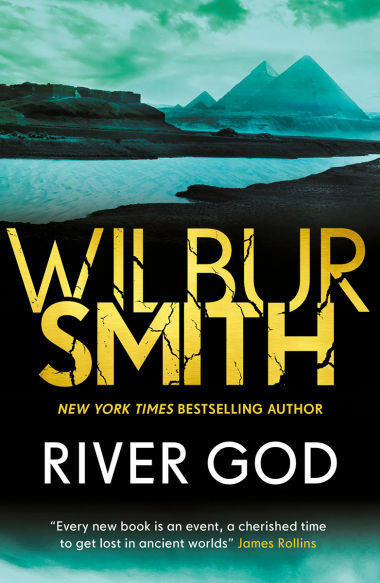 A rousing good sequel to River God that takes the immensely entertaining form of a high-tech treasure hunt ... A master storyteller at the top of his considerable form. Life-threatening dangers loom around every turn, leaving the reader breathless ... An incredibly exciting and satisfying read. The dusk crept in from the desert, and shaded the dunes with purple. Like a thick velvet cloak it muted all sounds, so that the evening was tranquil and hushed. From where they stood on the crest of the dune they looked out over the oasis and the complex of small villages that surrounded it. The buildings were white with flat roofs and the date palms stood higher than any of them except the Islamic mosque and the Coptic Christian church. These bastions of faith opposed each other across the lake. The waters of the lake were darkling. A flight of duck slanted down on quick wings to land with a small splash of white close in against the reed banks. The man and the woman made a disparate couple. He was tall, though slightly bowed, his silvering hair catching the last of the sunlight. She was young, in her early thirties, slim, alert and vibrant. Her hair was thick and curling, restrained now by a thong at the nape of her neck. ‘Time to go down now. Alia will be waiting.’ He smiled down at her fondly. She was his second wife. When his first wife died he thought that she had taken the sunlight with her. He had not expected this last period of happiness in his life. Now he had her and his work. He was a man happy and contented. Suddenly she broke away from him, and pulled the thong from her hair. She shook it out, dense and dark, and she laughed. It was a pretty sound. Then she plunged down the steep slip-face of the dune, her long skirts billowing around her flying legs. They were shapely and brown. She kept her balance until halfway down, when gravity overwhelmed her and she tumbled. From the top he smiled down on her indulgently. Sometimes she was still a child. At others she was a grave and dignified woman. He was not certain which he preferred, but he loved her in both moods. She rolled to a halt at the bottom of the dune and sat up, still laughing, shaking the sand out of her hair. ‘Your turn!’ she called up at him. He followed her down sedately, moving with the slight stiffness of advancing age, keeping his balance until he reached the bottom. He lifted her to her feet. He did not kiss her, although the temptation to do so was strong. It was not the Arab way to show public affection, even to a beloved wife. She straightened her clothing and retied her hair before they set off towards the village. They skirted the reed beds of the oasis, crossing the rickety bridges over the irrigation canals. As they passed, the peasants returning from the fields greeted him with deep respect. ‘Salaam aleikum, Doktari! Peace be with you, doctor.’ They honoured all men of learning, but him especially for his kindness to them and their families over the years. Many of them had worked for his father before him. It mattered little that most of them were Moslem, while he was a Christian. ‘Old mother, you are always right,’ he teased her gently. ‘What would we do without you to care for us?’ He sent her away, still scowling to cover her love and concern for him. They ate the simple meal on the terrace together, dates and olives and unleavened bread and goat’s milk cheese. It was dark when they finished, but the desert stars were bright as candles. ‘Royan, my flower.’ He reached across the table and touched her hand. ‘It is time to begin work.’ He stood up from the table and led the way to his study that opened out on to the terrace. Royan Al Simma went directly to the tall steel safe against the far wall and tumbled the combination. The safe was out of place in this room, amongst the old books and scrolls, amongst the ancient statues and artefacts and grave goods that were the collection of his lifetime. When the heavy steel door swung open, Royan stood back for a moment. She always felt this prickle of awe whenever she first looked upon this relic of the ages, even after an interval of only a few short hours. ‘The seventh scroll,’ she whispered, and steeled herself to touch it. It was nearly four thousand years old, written by a genius out of time with history, a man who had been dust for all these millennia, but whom she had come to know and respect as she did her own husband. His words were eternal, and they spoke to her clearly from beyond the grave, from the fields of paradise, from the presence of the great trinity, Osiris and Isis and Horus, in whom he had believed so devoutly. As devoutly as she believed in another more recent Trinity. She carried the scroll to the long table at which Duraid, her husband, was already at work. He looked up as she laid it on the tabletop before him, and for a moment she saw the same mystical mood in his eyes that had affected her. He always wanted the scroll there on the table, even when there was no real call for it. He had the photographs and the microfilm to work with. It was as though he needed the unseen presence of the ancient author close to him as he studied the texts. She leaned over his shoulder and studied the hieroglyph on the photograph of the scroll that he pointed out to her. She puzzled over the character for a moment before she took the magnifying glass from Duraid’s hand and peered through it again. ‘It looks as though Taita has thrown in another cryptogram of his own creation just to bedevil us.’ She spoke of the ancient author as though he were a dear, but sometimes exasperating, friend who still lived and breathed, and played tricks upon them. ‘We’ll just have to puzzle it out, then,’ Duraid declared with obvious relish. He loved the ancient game. It was his life’s work. The two of them laboured on into the cool of the night. This was when they did their best work. Sometimes they spoke Arabic and sometimes English; for them the two languages were as one. Less often they used French, which was their third common language. They had both received their education at universities in England and the United States, so far from this very Egypt of theirs. Royan loved the expression ‘This very Egypt’ that Taita used so often in the scrolls. She felt a peculiar affinity in so many ways with this ancient Egyptian. After all, she was his direct descendant. She was a Coptic Christian, not of the Arab line that had so recently conquered Egypt, less than fourteen centuries ago. The Arabs were newcomers in this very Egypt of hers, while her own blood line ran back to the time of the pharaohs and the great pyramids. At ten o’clock Royan made coffee for them, heating it on the charcoal stove that Alia had lit for them before she went off to her own family in the village. They drank the sweet, strong brew from thin cups that were half-filled with the heavy grounds. While they sipped, they talked as old friends. For Royan that was their relationship, old friends. She had known Duraid ever since she had returned from England with her doctorate in archaeology and won her job with the Department of Antiquities, of which he was the director. She had been his assistant when he had opened the tomb in the Valley of the Nobles, the tomb of Queen Lostris, the tomb that dated from about 1780 BC. 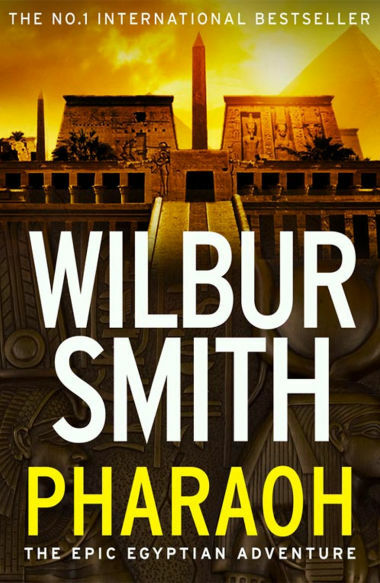 She had shared his disappointment when they had discovered that the tomb had been robbed in ancient times and all its treasures plundered. All that remained were the marvellous murals that covered the walls and the ceilings of the tomb. It was Royan herself who had been working at the wall behind the plinth on which the sarcophagus had once stood, photographing the murals, when a section of the plaster had fallen away to reveal in their niche the ten alabaster jars. Each of the jars had contained a papyrus scroll. Every one of them had been written and placed there by Taita, the slave of the queen. Since then their lives, Duraid’s and her own, seemed to have revolved around those scraps of papyrus. Although there was some damage and deterioration, in the main they had survived nearly four thousand years remarkably intact. What a fascinating story they contained, of a nation attacked by a superior enemy, armed with horse and chariot that were still alien to the Egyptians of that time. Crushed by the Hyksos hordes, the people of the Nile were forced to flee. Led by their queen, Lostris of the tomb, they followed the great river southwards almost to its source amongst the brutal mountains of the Ethiopian highlands. Here amongst those forbidding mountains, Lostris had entombed the mummified body of her husband, the Pharaoh Mamose, who had been slain in battle against the Hyksos. Long afterwards Queen Lostris had led her people back northwards to this very Egypt. Armed now with their own horses and chariots, forged into hard warriors in the African wilderness, they had come storming back down the cataracts of the great river to challenge once more the Hyksos invader, and in the end to triumph over him and wrest the double crown of upper and lower Egypt from his grasp. It was a story that appealed to every fibre of her being, and that had fascinated her as they had unravelled each hieroglyph that the old slave had penned on the papyrus. It had taken them all these years, working at night here in the villa on the oasis after their daily routine work at the museum in Cairo was done, but at last the ten scrolls had been deciphered – all except the seventh scroll. This was the one that was the enigma, the one which the author had cloaked in layers of esoteric shorthand and allusions so obscure that they were unfathomable at this remove of time. Some of the symbols he used had never figured before in all the thousands of texts that they had studied in their combined working lives. It was obvious to them both that Taita had not intended that the scrolls should be read by any eyes other than those of his beloved queen. These were his last gift for her to take with her beyond the grave. It had taken all their combined skills, all their imagination and ingenuity, but at last they were approaching the conclusion of the task. There were still many gaps in the translation and many areas where they were uncertain whether or not they had captured the true meaning, but they had laid out the bones of the manuscript in such order that they were able to discern the outline of the creature it represented. ‘Why must we bring in others?’ Royan asked with an edge of exasperation in her voice. ‘Why can we not do alone what has to be done?’ At times like these the differences between them were most apparent. His was the caution of age, while hers was the impetuosity of youth. ‘You do not understand,’ he said. It always annoyed her when he said that, when he treated her as the Arabs treated their women in a totally masculine world. She had known the other world where women demanded and received the right to be treated as equals. She was a creature caught between those worlds, the Western world and the Arab world. Royan’s mother was an Englishwoman who had worked at the British Embassy in Cairo in the troubled times after World War II. She had met and married Royan’s father, who had been a young Egyptian officer on the staff of Colonel Nasser. It was an unlikely union and had not persisted into Royan’s adolescence. Her mother had insisted upon returning to England, to her home town of York, for Royan’s birth. She wanted her child to have British citizenship. After her parents had separated, Royan, again at her mother’s insistence, had been sent back to England for her schooling, but all her holidays had been spent with her father in Cairo. Her father’s career had prospered exceedingly, and in the end he had attained ministerial rank in the Mubarak government. Through her love for him she came to look upon herself as more Egyptian than English. It was her father who had arranged her marriage to Duraid Al Simma. It was the last thing that he had done for her before his death. She had known he was dying at the time, and she had not found it in her heart to defy him. All her modern training made her want to resist the old-fashioned Coptic tradition of the arranged marriage, but her breeding and her family and her Church were against her. She had acquiesced. Her marriage to Duraid had not proved as insufferable as she had dreaded it might be. It might even have been entirely comfortable and satisfying if she had never been introduced to romantic love. However, there had been her liaison with David while she was up at university. He had swept her up in the hurly-burly, in the heady delirium, and, in the end, the heartache, when he had left her to marry a blonde English rose approved of by his parents. She respected and liked Duraid, but sometimes in the night she still burned for the feel of a body as firm and young as her own on top of hers. Duraid was still speaking and she had not been listening to him. She gave him her full attention once more. ‘I have spoken to the minister again, but I do not think he believes in me. I think that Nahoot has convinced him that I am a little mad.’ He smiled sadly. Nahoot Guddabi was his ambitious and well-connected deputy. ‘At any rate the minister says that there are no government funds available, and that I will have to seek outside finance. So, I have been over the list of possible sponsors again, and have narrowed it down to four. There is the Getty Museum, of course, but I never like to work with a big impersonal institution. I prefer to have a single man to answer to. Decisions are always easier to reach.’ None of this was new to her, but she listened dutifully. ‘Then there is Herr von Schiller. He has the money and the interest in the subject, but I do not know him well enough to trust him entirely.’ He paused, and Royan had listened to these musings so often before that she could anticipate him. ‘What about the American? He is a famous collector,’ she forestalled him. ‘So who does that leave?’ she asked. He did not reply, for they both knew the answer to her question. Instead, he turned his attention back to the material that littered the work table. He picked up the top photograph from the pile in front of him. It was an extract from the central section of the scroll. ‘It is the worst luck that the damaged piece of papyrus falls where it does.’ He picked up his reading glasses and placed them on his nose before he read aloud. ‘Let’s go back to the satellite photographs,’ Royan suggested, and drew the glossy sheet towards her. Duraid came around the table to stand behind her. ‘To me it seems most logical that the natural feature that would obstruct them in the gorge would be something like a set of rapids or a waterfall. If it were the second waterfall, that would put them here–’ Royan placed her finger on a spot on the satellite photograph where the narrow snake of the river threaded itself through the dark massifs of the mountains on either hand. At that moment she was distracted and she lifted her head. ‘Listen!’ Her voice changed, sharpening with alarm. ‘What is it?’ Duraid looked up also. They froze with surprise in the darkness. The soft thudding of the decrepit diesel generator in its shed at the back of the palm grove had ceased. It was so much a part of the oasis night that they noticed it only when it was silent. Their eyes adjusted to the faint starlight that came in through the terrace doors. Duraid crossed the room and took the oil lamp down from the shelf beside the door where it waited for just such a contingency. He lit it, and looked across at Royan with an expression of comical resignation. He listened for a moment, and his expression changed to mild concern. The dog was silent out there in the night. ‘I am sure it is nothing to be alarmed about.’ He went to the door, and for no good reason she suddenly called after him. ‘Duraid, be careful!’ He shrugged dismissively and stepped out on to the terrace. She thought for an instant that it was the shadow of the vine over the trellis moving in the night breeze off the desert, but the night was still. Then she realized that it was a human figure crossing the flagstones silently and swiftly, coming in behind Duraid as he skirted the fishpond in the centre of the paved terrace. ‘Duraid!’ She screamed a warning and he spun round, lifting the lamp high. The intruder closed with him silently. The traditional full-length dishdasha robe swirled around his legs, and the white ghutrah headcloth covered his head. In the light of the lamp Duraid saw that he had drawn the corner of the headcloth over his face to mask his features. The intruder’s back was turned towards her so Royan did not see the knife in his right hand, but she could not mistake the upward stabbing motion that he aimed at Duraid’s stomach. Duraid grunted with pain and doubled up at the blow, and his attacker drew the blade free and stabbed again, but this time Duraid dropped the lamp and seized the knife arm. The flame of the fallen oil lamp was guttering and flaring. The two men struggled in the gloom, but Royan saw a dark stain spreading over her husband’s white shirt front. ‘Run!’ he bellowed at her. ‘Go! Fetch help! I cannot hold him!’ The Duraid she knew was a gentle person, a soft man of books and learning. She could see that he was outmatched by his assailant. ‘Go! Please! Save yourself, my flower!’ She could hear by his tone that he was weakening, but he still clung desperately to his attacker’s knife arm.